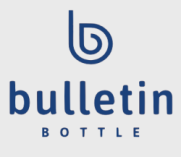 Bulletin Bottle offers a lovely, hand-chosen assortment of custom tumblers to meet any budget. Even though tumblers is a new category for us, it’s already one of most popular! With a large imprint area, and many different materials to choose from, these versatile vessels have become a staple. When you choose custom printed tumblers with your organization’s branding, you automatically increase the usefulness of the promotion, making it a wise marketing investment. When you opt for higher-end insulated tumblers, they can also be used for hot liquids! Custom insulated tumblers can be used for hot coffee, iced tea, water, and more! Their wide mouths and removable lids make them easy to clean and refill. Many have integrated straws or room for one, to boot (though drinking hot beverages through a straw is a no-no). With more on-trend, retail brand-inspired designs than ever, custom tumblers will make the unique identity of your company pop in the hands of your target audience.